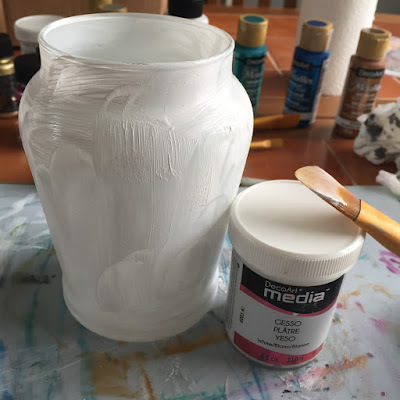 Firstly, I applied a coat of white gesso to the jar and allowed it to dry. 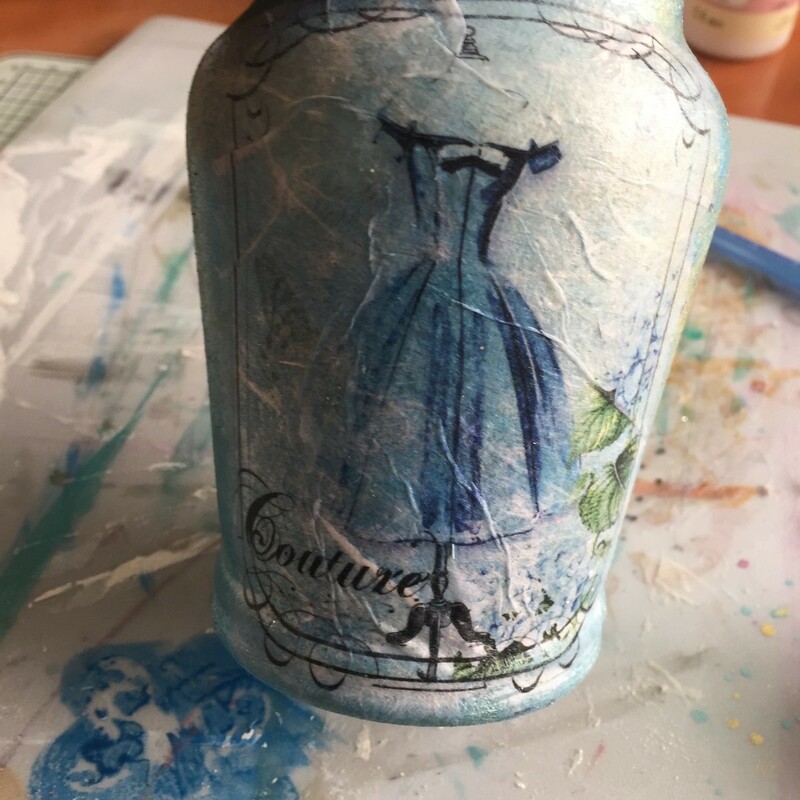 I then chose a selection of paints that go together and randomly sponged all over the jar until it was covered. To do this I used a cut up kitchen sponge … no fancy tools here! I then chose an image from rice paper and traced around it with a wet paint brush and gently tore it from the sheet. I applied a layer of the glue to the back of the image and applied it to the jar, spreading more glue over it to smooth it down and reduce air bubbles. I left a few small creases to add to the effect. Next I wrapped raffia around the neck of the jar and secured with hot glue. 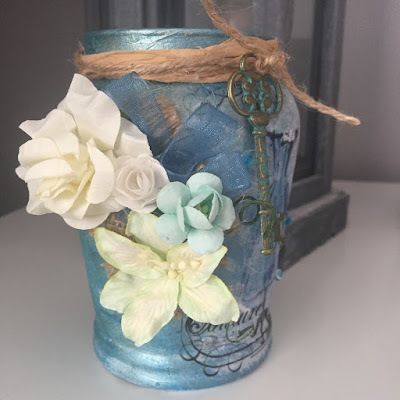 I then tied a length of twine over the raffia and tied a Verdigris key to it. 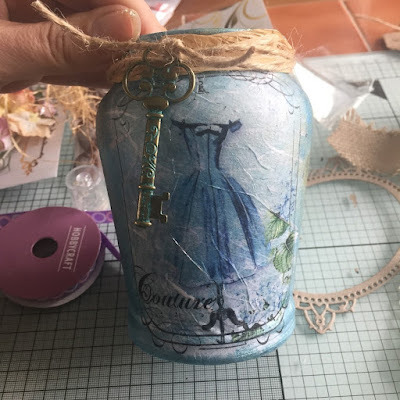 Using hot glue – I then attached hessian, ribbon, paper flowers and crystals to the jar. Now you have to be patient and allow things to dry … something I’m not very good at. 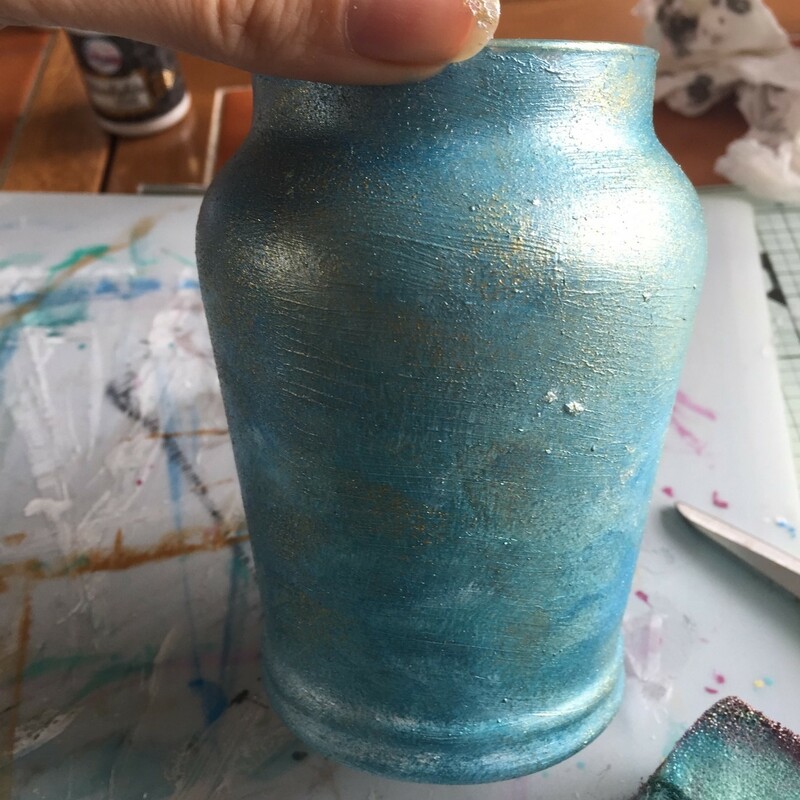 I have used fabric glue on here as that is what I have and it worked fine, just takes slightly longer to dry; although you could give it a blast with a heat gun as the glass is heat resistant after all … which I remembered after waiting on all the layers to dry naturally!!! For next time, I’ll be saving up empty coffee jars so they can be transformed … which means I’ll have more ‘stuff’! Have a go – it’s really easy – I’d love to see your results. This stunning bag is actually very simple to make, and can be made as large or as small as you like! Try making it up in different fabrics, denim, faux leather or even silk, which would look lovely when embroidered as an evening bag! Use a 1.4” seam allowance. 1: Cut a curve around the bottom edge of each piece of fabric and fleece. 2. Turn one of the patterned pieces to the wrong side and draw a line each side, from the top, 4” from the side and 12” from the top. Using a 12” circle template, join the lines to make a curve. 3. With the patterned fabrics right sides together, cut around the curved line. You’ll see two handles forming. Measure 8” from the top of one of the handles and cut across. 4. Measure 10” from the bottom of each section on the bag and make a mark on either side. This delightful rabbit in her pretty pink pinny is showing how much she loves you! She has long bendy ears and her arms and legs are jointed with buttons. She stands 28" tall. use a 1/4" seam allowance. 1. Download the pattern here. Cut out the ear pieces and place the chenille sticks to the centre of the wrong side of the patterned fabric. Zig zag stitch in place. 2. Sew the plain ear fabric to the patterned, right sides together, leaving the bottom open. Turn the right way out and press, then edge stitch around the ear. 3. Sew four pieces of 15cm x 12cm of patterned fabric to four pieces of 15cm x 23cm of plain fabric. Join us at the Stitching, Sewing & Hobbycrafts show! 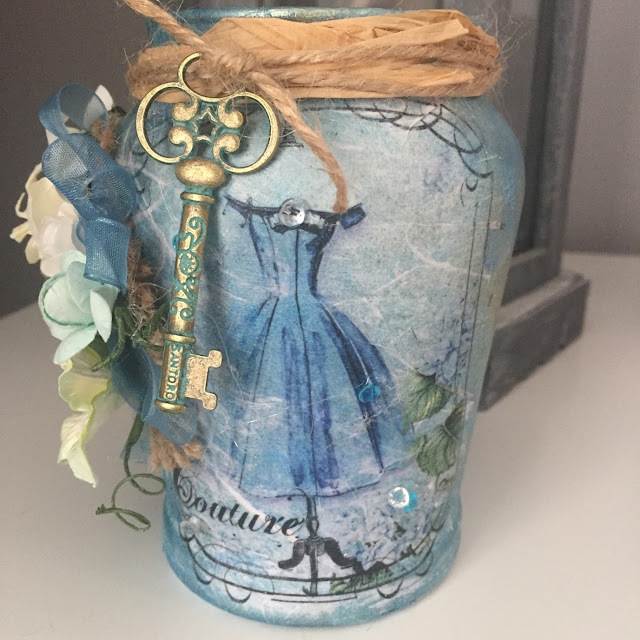 Join us at this year's Stitching, Sewing & Hobbycrafts Show! 2nd - 5th November NEC Birmingham. You can grab the hottest ICHF Event tickets right here! This year's Stitching, Sewing & Hobbycrafts show is going to be even bigger and better than ever, not only will you be able to explore the latest crafting supplies, exclusive product launches and expert demonstrations - a true crafters paradise; there is also free entry to Simply Christmas and Cake International!